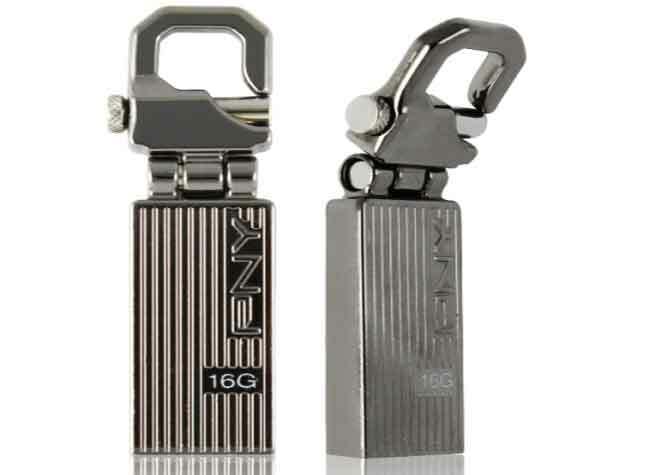 PNY Technologies has launched its Mini M1 and Transformer Transformer Attaché USB flash drives in India. Like other PNY flash drives, both drives features 5-year warranty from the date of purchase. PNY's new Mini M1 USB flash drive comes in a special high quality alloy casing with a mirror finish, providing a shiny, bright and hip appearance. The casing is very durable, rugged, and resistant to wear and tear. It protects the drive against dust and is even water resistant. Sporting a capless design, the Mini M1 does away with the hassle of taking care of the cap. It comes with a handle with a hole at the opposite end from the USB plug, where you can attach a lanyard to secure it to a keychain, purse, belt, bags, etc. The Mini M1 weighs only 2.8g, which is half of the M1 Attaché, yet another tiny drive from PNY. Although its dimensions are smaller as well, it boasts capacities up to 32GB. With this extreme portability and large capacity, you can use this trendy drive to easily share your pictures, movies, music, games, work documents and more. With write speeds up to 10MB/s and read speeds of up to 32MB/s, you don't have to wait for long for your files to transfer. The drive works with all recent versions of Windows and Mac OS 10.3 and above., the Mini M1 comes with a 5-year warranty from the date of purchase. 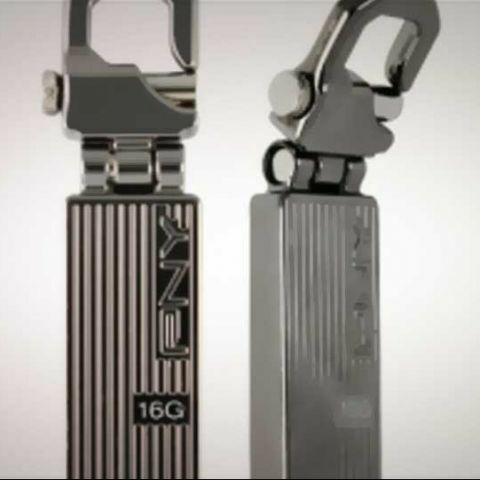 According to PNY, this new product exhibits amazing engineering, and also features a hook design made famous by the PNY Hook Attaché and can rotate 180 degrees and transform to change its form factor, hence giving itself the name “Transformer Attaché”. PNY's new Transformer Attaché drive comes in high quality stainless steel with a polished and lustrous finish that gives it a professional look and also durable design. Unlike common plastic USB flash drives, the Transformer can easily handle rough use due to its resistance to wear and damage. It bears a corrugated, three dimensional line decor that exudes robustness as well as style. The hook design lets you attach it to various items such as lanyards, belts, bags, and key chains, among other things. The hook can turn 90 degrees on either side, thus altering the form factor and allowing flexibility of attachment. The innovative housing gives it protection against the dust, and other elements of nature and it is even water resistant. Thanks to the capless design, you don’t have to worry about losing the cap. Weighing just 8.78g, the Transformer is considerably compact at 4.5 mm (H) x 13.9 mm (W) x 47.7 mm (L), thus making it very easy to slip it into your pocket and take it with you. Although compact, it comes in capacities ranging from 4GB to 32GB. 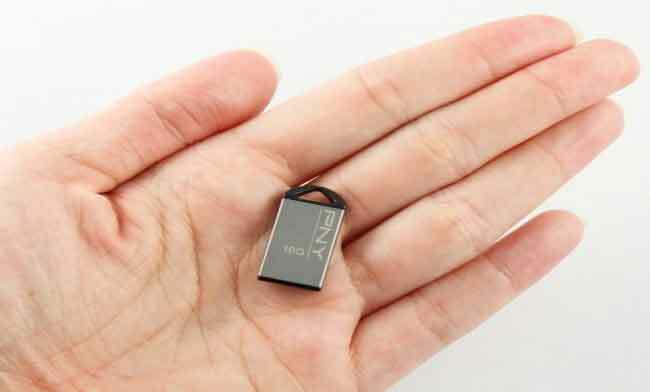 You can therefore carry all your pictures, documents, movies, and music on this tiny drive. With a USB 2.0 interface, files can be transferred at up to 10MB/s to the drive and copied back at up to 32MB/s. The drive works with all recent versions of Windows and Mac OS 10.3 and above.